I was reminded recently that there is huge confusion about trademarks and copyright – particularly the use of those funny symbols and letters. Which is a lot of ways, is really surprising since they are there to protect everyone – particularly in marketing and business. There is no point in creating a distinct brand, complete with logo as part if your marketing program, without protecting it is some way. Before we start, I should stress that I am not a lawyer, or even an expert – I can just read the US Patent and Trademark Office website and have been dealing with copyright and trademarks for a very long time. I would urge you to click on the link above to confirm how copyright and trademarks effect your business – what follows is really just a primer. If you are outside of the US you should check your own local laws, but by and large they follow the same kind if thinking. Possibly the most misunderstood of everything we are looking at today. That little “TM” after a logo or brand name simply means that an entity is asserting that the name or logo is a trademark used to identify their business. ANYONE CAN DO THIS, AT ANYTIME, FOR ALMOST ANYTHING! The “TM” has no legal standing in its own right unless you choose to go to court to enforce it. If you did go to court you would have to prove that the person, or business, who violated your trademark did so knowingly – in other words they saw your “TM” and ignored it. If you did not have the “TM” next to your logo it would be much harder to claim a violation of your trademark. However, if you do not protect your trademarks and they are widely violated by lots of people but you decide to try and enforce your trademark against one entity they can claim that your trademark is irrelevant. You have to protect your trademark if you are claiming to have one. You also have to be careful that trademark is actually unique. For example, if your animal hospital has a large generic sign saying “animal hospital” outside of it, you can’t trademark “Animal Hospital” or get bent out of shape by the animal hospital down the street having a similar sign. If your sign says “Town X Animal Hospital” you could trademark that (as long as someone else was not already using it). You could almost certainly also claim a trademark infraction if the animal hospital down the street put up a sign saying “Town X Animal Hospital” after you had put up yours. The UPS logo – notice the “TM” in the bottom right hand corner. This mark has legal standing. To use this mark you must have registered your trademark with the patent office. They will have conducted their own research and concluded that your trademark is unique and will help with enforcement of your trademark rights should there ever be any issues. You cannot use this mark until the patent office says you can – you can be prosecuted if you do. Registered trademarks are normally the purview of major brands, mutli-nationals and very clever logos that might be abused by third parties without the added protect of being a registered trademark. 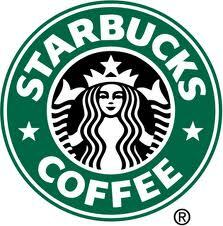 The Starbucks Coffee logo - notice the "®" in the bottom right corner. The copyright symbol is used much like the “TM” trademark symbol, except for intellectual property. This article is copyrighted, which means it cannot be used in whole, or part, without giving credit to me or my permission. These days copyright is not nearly as cut and dried as say trademarks, and there are entire books covering just this subject, but the simple concept is that copyright protects unique creations (articles, books, music, films etc.) Like “TM”, the “©” is used to inform others that the work is considered to belong to someone and therefore care should be taken when doing anything with it. 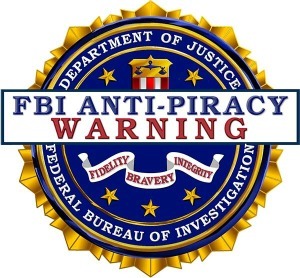 Interestingly, as Wired reported recently, the FBI is seriously exploring the idea of allowing anyone to use their Anti-Piracy seal which is normally reserved for items that are subject to significant copyright infringement like music and movies. Coming to a blog near you soon? The “all rights reserved” phrase is normally used alongside the copyright symbol and basically states that all rights to the material are reserved for the copyright holder and you’d need explicate permission to use the material in any way. This whole subject can get really complicated, very quickly indeed. However, the basics are really quite simple and are about offering a measure of protection of your hardwork. “TM” and “©” are free tools that you can use and really let others know that you care about your content, your logo and your brand. Any copyright or trademark horror stories to share? Feel free to use the comments to let me know how it has all gone wrong, or right! Thanks for sending this link to me! It was a simple breakdown of the pertinent differences between all of those sticky “ownership” terms. You are very welcome. So glad it was useful.